Travel to Botswana for an unforgettable insight into untouched Africa. 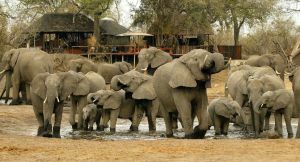 Home to wildlife gems like the Okavango Delta and Chobe Park, Botswana is where you’ll see the largest elephant herds on the continent. It’s also a place to track big cats and wild dogs, explore teeming wetlands, and watch Africa’s big game in pristine, beautiful landscapes. 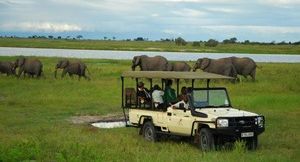 Okavango Delta – Botswana’s wildlife showpiece; choose between water & land-based camps, explore by 4X4, boat & on foot. Moremi Game Reserve – protecting much of the Okavango Delta, Moremi is home to big cats, wild dogs & amazing birding. Chobe National Park – Framed by the Chobe River, Botswana’s heavyweight destination is famous for elephant & buffalo as well as all the big predators. 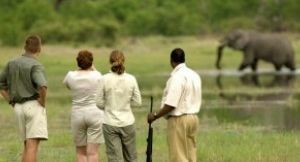 Savuti – notorious for its ever-battling lions & hyenas, Chobe’s remote Savuti region delivers wild, anything-can-happen game viewing throughout the year. 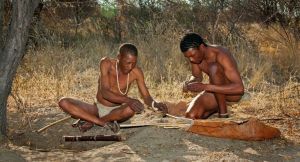 Kalahari – a great summer destination, the game-rich Kalahari delivers big cats, antelope herds & walks with Bushman guides. Set at the heart of southern Africa, Botswana appears remote but it’s a destination easily experienced. Direct flights connect it with Cape Town and Johannesburg, and Botswana safaris often finish with a flourish at next-door Victoria Falls. Travellers can join guided overland tours or fly from camp to camp on a private itinerary. 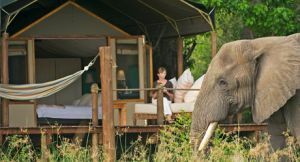 Safari accommodation ranges from grand riverside lodges to intimate tented camps and honeymoon hideaways; the standard of comfort, food and service is very high. Botswana is also a very safe country to visit, having enjoyed decades of peace and stability. Botswana travel infrastructure is professional and well developed. 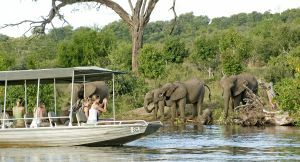 You’ll enjoy great guiding throughout its parks and reserves with game drives taking centre stage but you’ll have the chance to sit back on a canoe in the Okavango Delta, and cruise down the Chobe River at sunset. 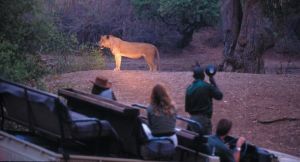 Travel to Botswana’s private concessions and you’ll enjoy night drives and guided bush walks too. Home to some of the country’s best safari lodges, Botswana’s exclusive-use reserves sit in areas famous for some of Africa’s most sought-after sightings: wild dog packs and leopards plus lions that prey on buffalo and hippo in titanic battles. The perfect destination for discerning travellers and privacy-seeking couples, Botswana is also a great for families with older children (normally 6 and older). Several camps offer four-sleeper chalets and family-oriented activities; larger, multigenerational families and groups can also be catered for at private camps. And although travellers on a tight budget may think that Botswana Travel is out of reach, there are several overland camping options that comfortably deliver all the right places with genuine affordability. 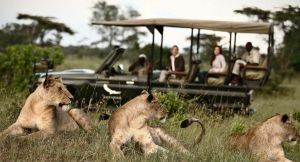 Led by an experienced guide, morning & afternoon drives deliver Botswana’s amazing wildlife close-up. The 4X4 vehicle has an open roof & sides plus raised suspension to ensure the best photographic opportunities. It’s the world’s biggest inland delta, a mesmerising mosaic of wetlands & woodlands, home to big game & epic bird watching. 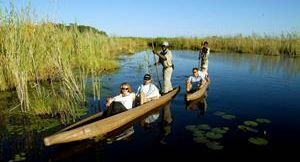 Experience it from a mokoro – a traditional canoe – steered by a local guide. Elephants & buffalo crowd the Chobe River during the dry season & the best views are from a boat. You’ll also see hippos, crocodiles, dazzling birdlife & spectacular sunsets. Healthy numbers of lion, leopard & cheetah stalk Botswana’s reserves; it’s also Africa’s best destination for wild dogs. Crocodiles, hyenas, giant owls & eagles are commonly seen. The Okavango Delta & private concessions can be explored on foot, adding a new dimension to your experience & ideal for bird watchers. Your professional guide leads the way. Camps & lodges are generally set over water: all you need to do is settle down on the viewing deck & let Botswana’s wildlife come to you. It’s especially rewarding in the dry season. Botswana’s private concessions offer spot-lit night drives, the best way to see Africa’s elusive nocturnal creatures such as porcupine, bush babies, wild cats & aardwolf. 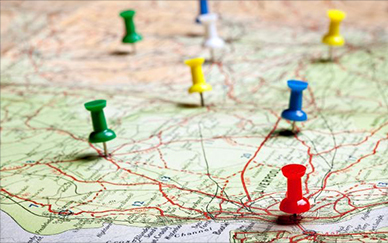 Some lodges incorporate the local community into your experience. You’ll meet village elders, have fun with local kids & enjoy a taste of life in big game country. Experience the extraordinary! Let us tailor-make your trip to Botswana.